The 2018 Swan Hill Fairfax Youth Initiative kicks off this Monday – and you’re invited to be part of it. PROUD + DEADLY will open the festival with a night of Aboriginal storytelling, comedy, dance, song and a traditional smoking ceremony. 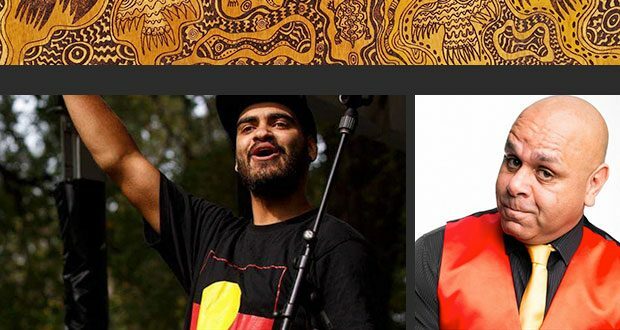 Australia’s premier Aboriginal comedy star Kevin Kropinyeri will be MC and 2015 National Indigenous Music Awards New Talent of the Year winner, rapper Philly, will perform. Fairfax Artistic Director Bryce Ives said PROUD + DEADLY would be a special event to acknowledge the many Aboriginal communities across our region. “This year’s theme for Fairfax is ‘We become the stories we tell’,” Mr Ives said. After the opening event, young and emerging artists from regional and remote areas will spend three days working alongside professional artists to develop their skills and create professional quality theatre centred around the theme. These performance works will be premiered at the gala on Thursday, 20 September. “We would love the community to come along and support these young artists and the invaluable contribution they are making to the rich cultural, social and creative tapestry of the Swan Hill region,” Mr Ives said. Both events are free and all open to all community members. Schools involved this year’s festival include Tooleybuc Central School, Manangatang P-12, St Mary MacKillop College, Red Cliffs Secondary College and Tyrrell College. Two singing events will also part of Fairfax this year – a free concert from the Word of Mouth choir at Swan Hill Regional Art Gallery on Tuesday at 1pm, and a pop-up community choir on Tuesday from 6pm that everyone is invited to sing with.